Small businesses must be proactive and work with state legislatures to establish workable provisions. 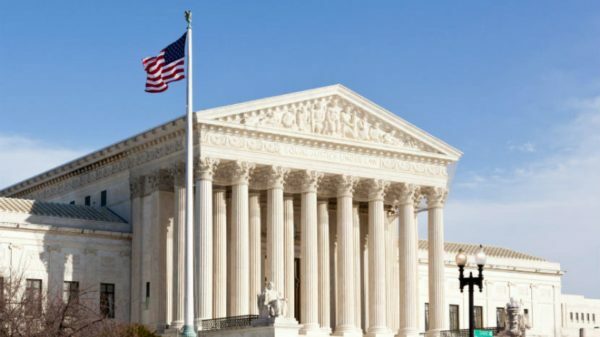 The U.S. Supreme Court recently decided a major case that will affect the purchasing power of most Texas consumers and the livelihoods of thousands of small-business owners across the state. The court ruled that states can now require virtually any retailer located outside of their state borders to collect and remit sales taxes on internet purchases made by residents of their states. You probably have noticed that with internet purchases, sometimes you have to pay sales tax, and sometimes you don’t. The reason is because of two previous long-standing Supreme Court decisions. Those decisions said that if a seller that is primarily located in a state different from where you live has a building (like a warehouse) or employees located in your state, the seller has to collect sales tax from you. It’s referred to in the tax world as “nexus.” If the out-of-state seller doesn’t have nexus, it doesn’t have to collect sales tax from you. The issue of deciding whether states (and other local jurisdictions such as cities) can collect sales taxes on shipments to its residents from out-of-state suppliers has been an inconsistent and haphazard process since long before internet sales. For example, Amazon.com collects sales tax on shipments it makes that might not even be legally subject to tax. Now, any state government, and potentially some local jurisdictions, may require all out-of-state companies to collect and remit sales taxes on purchases by residents of their state. This will affect individuals and businesses everywhere. Because many businesses have not adopted the approach used by Amazon, the decision will mean the prices of many goods you buy online are going up. The effect of higher prices on consumers may be unwelcome, but the impact on small internet-based businesses could be devastating. In his dissent to the court’s narrow 5-4 decision, Chief Justice John Roberts points out that currently more than 10,000 jurisdictions throughout the United States levy sales taxes, with different rates, different rules determining what is tax-exempt and different product category definitions. Most small businesses simply don’t have the personnel, accounting software and systems to figure how much they should pay and to whom, or to prepare all the necessary paperwork — nor can they afford to pay accountants and lawyers to help them. All of this, on top of losing customers because of higher prices, may well put many home and small businesses out of business. The justification for the Supreme Court decision is twofold. One, it’s not fair to “brick and mortar” businesses that if you buy a book in their store you have to pay sales tax, but if you buy the same book over the internet, you don’t have to pay any tax. And two, states where massive retailers are not located are losing huge amounts of badly needed tax revenue. These are valid arguments, and the Supreme Court has now formally agreed with them. Small businesses need to be proactive in working with state legislatures to establish workable provisions. That means the focus should now turn to state legislatures and the U.S. Congress. How will each state implement its new taxing power? Importantly, will states recognize the potentially devastating effect on small businesses in their state and provide common sense exemptions. South Dakota’s law, for example, limited the requirement for out-of-state retailers to collect sales tax to those companies that delivered more than $100,000 into the state or engaged in 200 or more separate transactions with South Dakotans. It is possible that Congress may pass legislation that would provide a consistent, national solution to the tax collecting and remitting process. In fact, some relevant bills have already been introduced. A national solution probably would go a long way toward helping small businesses, easing their compliance burden significantly. With this ruling, one long-running debate has been settled, but the devil is always in the details, and a lot of confusion is sure still to come. But one thing is certain: Get ready to pay more online. Jeff Johanns is a lecturer of accounting in the McCombs School of Business at The University of Texas at Austin. He previously was a partner and U.S. assurance risk management leader at PricewaterhouseCoopers LLP. A version of this op-ed appeared in the Fort Worth Star Telegram and the Waco Tribune Herald.